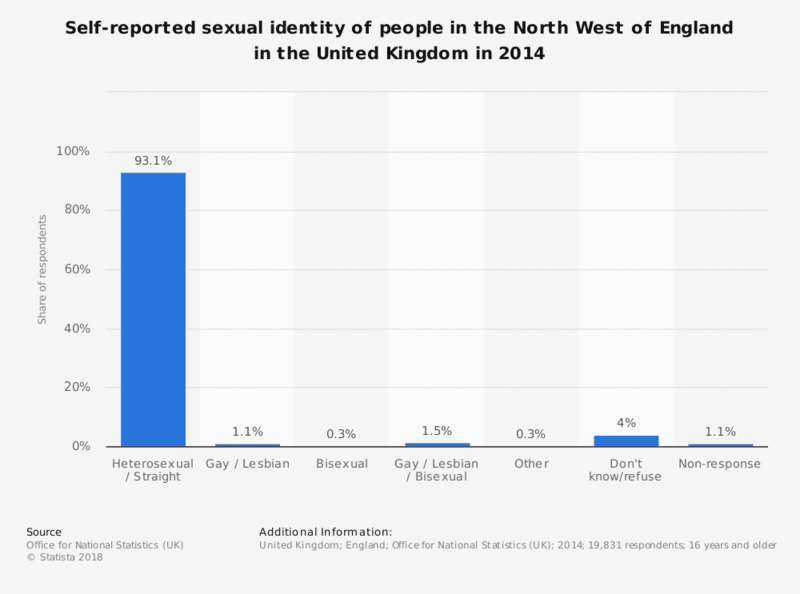 This statistic shows the self-reported sexual identity of people in the United Kingdom in 2014, in the North West of England region. The majority of people in the UK identified themselves as being heterosexual with roughly 1 in 100 people identifying as being gay/lesbian or bisexual. Gay and lesbian Americans: What is the sexual orientation of your social contacts and closest friends?